Do we need a change in competitor attitude to kick-start public interest in sailing? At the end of a recent Sailing Illustrated video interview, Paul Henderson, former president of the International Sailing Federation, commented that to get media interest sailing needed its “rock stars”. And of course, he is right . . . You look at other popular sports and the ‘noise’ is created by a few key personalities, their “Rock Stars”. Athletics has Usain Bolt topping the TV stats whenever he ran (or just turned-up) and in the UK Mo Farah has the same effect. These two got massive media coverage through a combination of ability and personality. And this is the problem for dinghy sailing – no REAL rock stars. 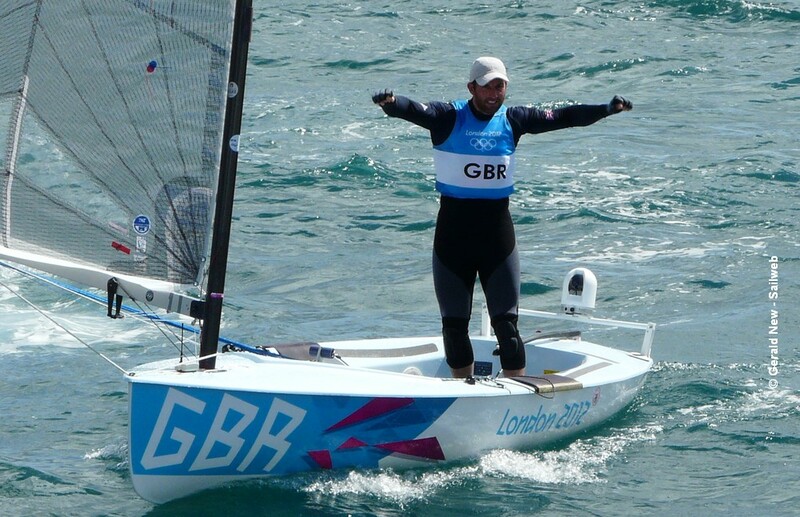 In the UK Ben Ainslie is the only (media) recognised dinghy sailor despite the number of Olympic sailing medals Team GBR have won. Even active club sailors struggle to name a top 49er or Laser or RS:X sailor. The problem compounded by the lack of genuine top-class events with a decent provenance. Even the world championships for the Olympic classes fail to register on the sporting media radar – will there be UK Newspaper and TV news headlines from Aarhus this July? You have to have a high-level circuit that allows the competitors to regularly compete and events on that circuit that have status. Winning Wimbledon or the US Masters means you will hit the headlines. Winning a Worlds Sailing Cup Series event will not even gain you a local TV mention. Indeed, the IOC has recognised this and welcomed long established events, tennis and golf, that bring with them recognisable names and their media following. You can give them politically motivated gongs when they get home, but will they make it onto TV’s Question of Sport? Giles Scott – 2016 Finn Gold – was not even recognised by his team presenter on the TV show! But the sailors are often their own worst enemies. Under the UKs state-sponsored system they know they are there for just one thing – to win an Olympic medal (and your political gong will depend on its colour). Anything else is just ‘training’ for the big ‘O’. “I learnt a lot” “I’m really concentrating on Tokyo” “working on specific aspects of my sailing” “conditions were difficult this week”. Apparently, the continuous gym and on-water training fails to prepare these top professionals for the actual rough and tumble of the competitive sailing circuit. Not the sort of thing you hear from F1 star Lewis Hamilton when he is shouting over his radio about an incident or his teams failings! Or from Rory McIlroy, as he fails to win at the final hole of the Masters, consoling himself with the thought of reaching the next Olympics? Every event is there to be won. If World Sailing cannot come up with anything better than sitting everyone down in front of their computers – which World Sailing President Kim Andersen says will . . . It is time to leave World Sailing with their multi-layered committees to look after what they do best . . . the paperwork. And move the real business of top level sail racing to a new dedicated organisation that has the competitors as its main focus, rather than where their next committee meeting is taking place.